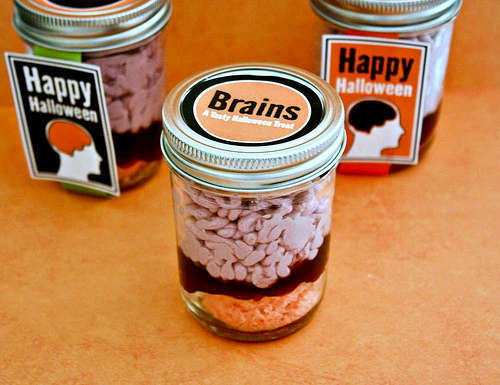 Utilize these scary Halloween food ideas to have your guests shrieking with horror and glee at your sinister confection creations. These gory edible treats will have costumed reveler’s stomachs churning as they witness your ability to bake savage treats. This complied list of gruesome delights is spine-chilling as it deceives with sanguine and slaughterous motifs sure to delight ghouls and witches with their delightful taste. The morbid, gastronomical creations range from edible human limbs to bloody drinks appealing to those with a sweet tooth for tricks and treats. For instance, create consumable craniums from cream cheese and a plastic skull mold decorated by cocktail onions. 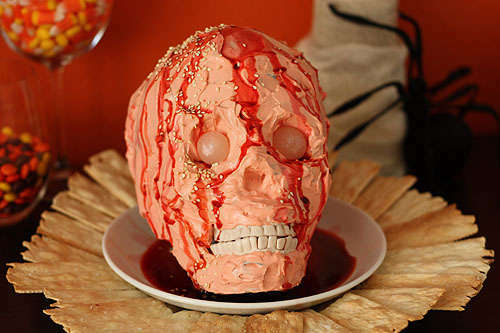 For this year’s celebration of all things spooky, make your midnight soiree morbidly horrific with these scary Halloween food ideas.